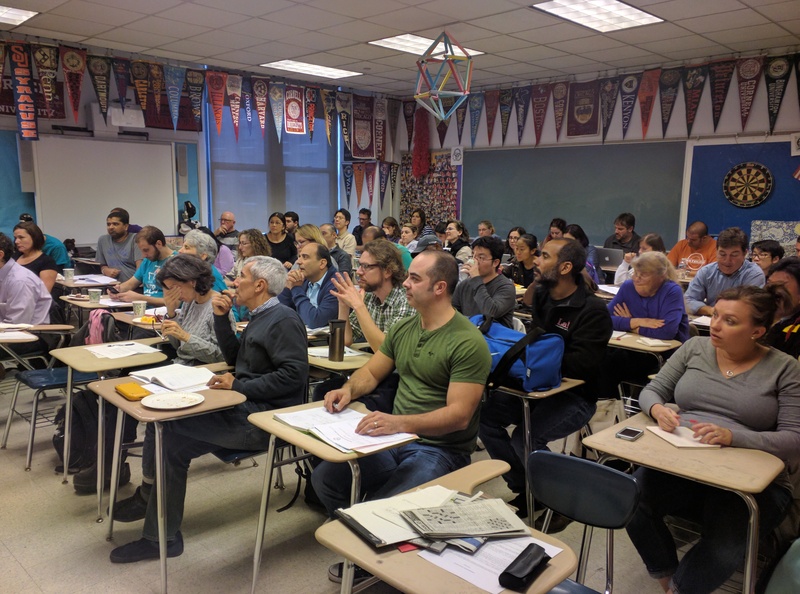 The NYCIML Richard Geller Coaches Meeting had an amazing turnout this year! 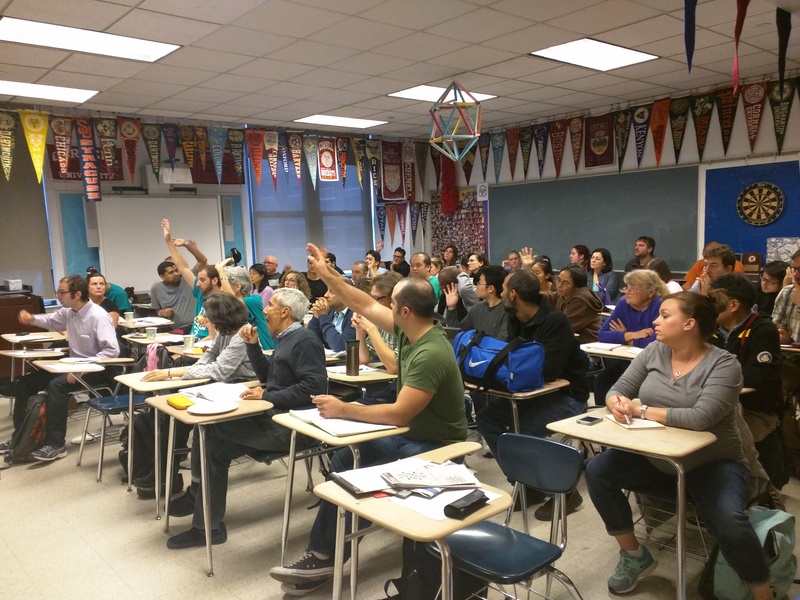 The NYCIML would like to thank Stuyvesant High School for allowing us to use their venue. 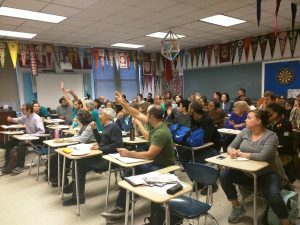 We would like to specifically thank Stan Kats, Ashvin Jaishankar and Jim Cocoros for their help to coordinate the Annual Coaches’ Meeting. In addition, we would like to give thank all our great speakers for presenting during this year’s meeting. 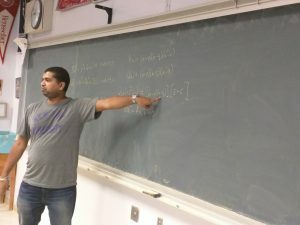 Beginning the Coaches Meeting with challenging math problems, everyone was able to see different ways to approach the given problems. 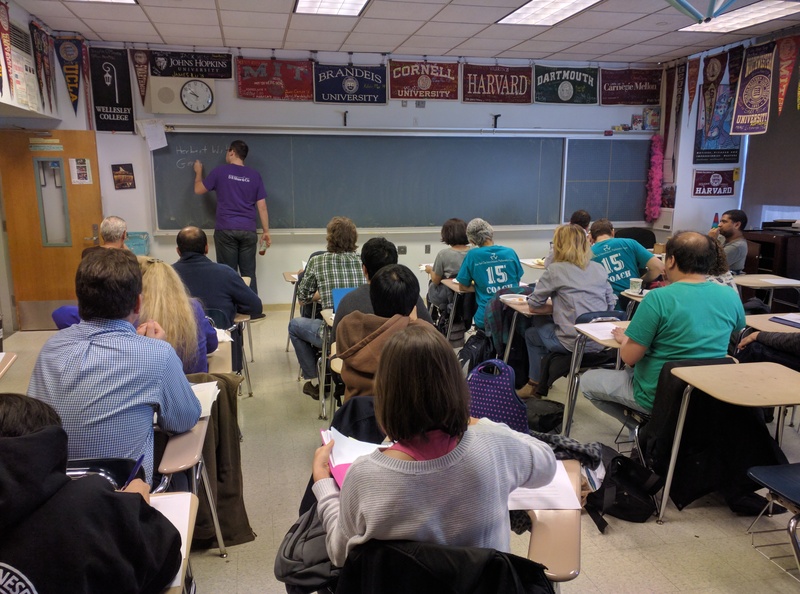 New coaches were presented with helpful information on how to administer IML contests and also given helpful tips on how to maintain a new math team. 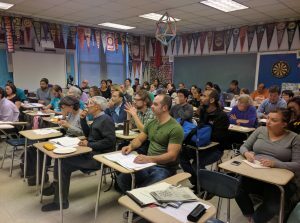 Veteran coaches were presented with interesting topics exploring quadrilaterals and precalculus. 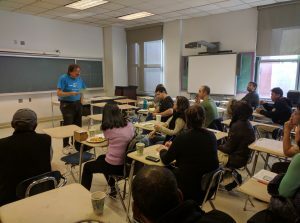 Photos of the coaches meeting have been posted and if you have any questions or comments, please contact exec@nyciml.org.Thank you to all the coaches and math APs that made this meeting possible! We look forward to seeing all the coaches again next year!